Hibiscus Platinum Bedding by The Purists - Swatches may be available. 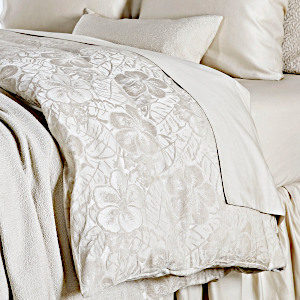 The artists of SDH European Fine Linens have rendered a beautiful impression of the Hibiscus Flowers in this natural bedding. 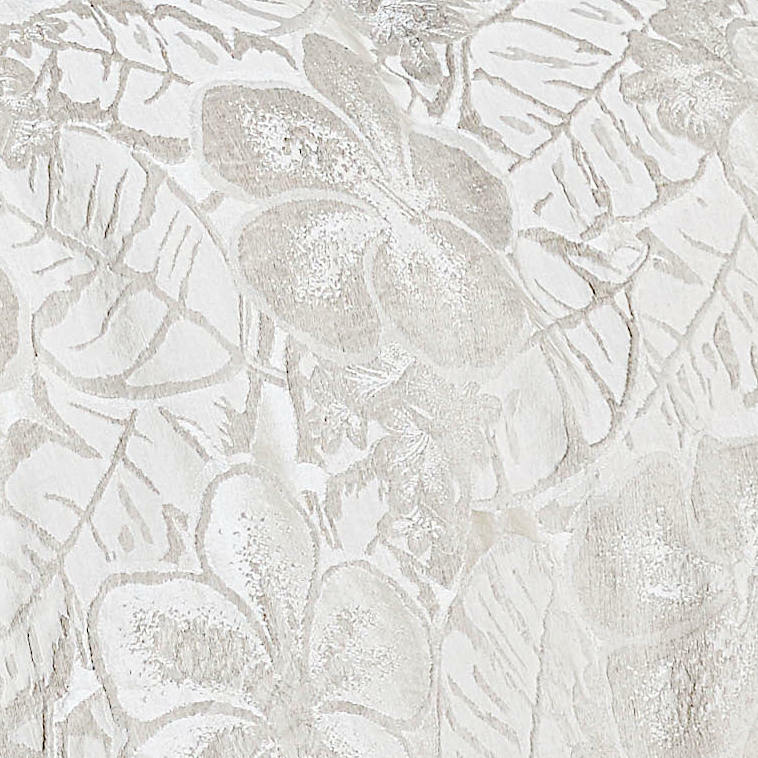 Illuminate your bed with this perfect blend of linen and silk jacquard woven in Italy. 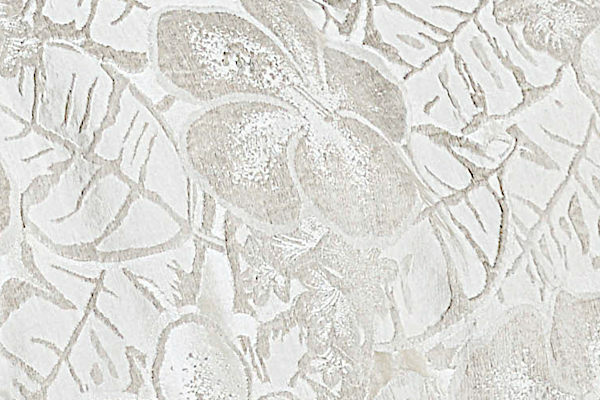 A beautiful Fine European Linen! Bedskirts are gathered. Dry clean only.